What’s the Fate of Your Property If California High-Speed Rail Is Terminated? 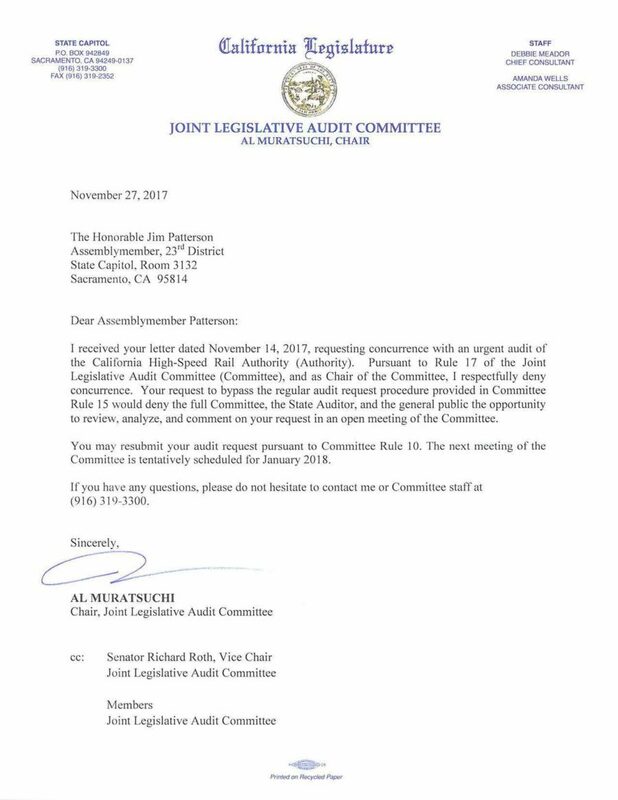 Political observers in California were stunned when the Trump Administration sent a letter dated February 19, 2019 to the CEO of the California High-Speed Rail Authority terminating the federal funding agreement and demanding a refund of federal funds already given to the state for the project. The U.S. Department of Transportation announced today that the Federal Railroad Administration (FRA) intends to cancel $929 million in Federal grant funds yet to be paid for the California High-Speed Rail project envisioned to connect the L.A. Basin to the San Francisco Bay Area. In addition, the Department announced it is actively exploring every legal option to seek the return from California of $2.5 billion in Federal funds FRA previously granted for this now-defunct project. FRA Administrator Ronald L. Batory notified the California HSR Authority (CHSRA) of this action in a letter today. Senate Bill 940, signed into law in 2016, requires the California High-Speed Rail Authority to send notification by certified mail to the last known owner of property (at his or her last known address) if it plans to sell it. The letter must inform the last known owner that it will be offering the property for sale. The Authority must wait at least 30 days after mailing the notification before it sells the property. The language is found in California Public Utilities Code Section 185040. This article shall not be construed as legal advice. What Did Governor Gavin Newsom Actually Say About California High-Speed Rail? There are many interpretations of what new California Governor Gavin Newsom said about California High-Speed Rail during his State of the State address on February 12, 2019, including his own interpretation on Twitter. Next, let’s level about high speed rail. I have nothing but respect for Governor Brown’s and Governor Schwarzenegger’s ambitious vision. I share it. And there’s no doubt that our state’s economy and quality of life depend on improving transportation. Right now, there simply isn’t a path to get from Sacramento to San Diego, let alone from San Francisco to L.A. I wish there were. High Speed Rail is much more than a train project. It’s about economic transformation and unlocking the enormous potential of the Valley. We can align our economic and workforce development strategies, anchored by High Speed Rail, and pair them with tools like opportunity zones, to form the backbone of a reinvigorated Central Valley economy. For those who want to walk away from this whole endeavor, I offer you this: Abandoning high speed rail entirely means we will have wasted billions of dollars with nothing but broken promises and lawsuits to show for it. And by the way, I am not interested in sending $3.5 billion in federal funding that was allocated to this project back to Donald Trump. Nor am I interested in repeating the same old mistakes. Today I am ordering new transparency measures. We’re going to hold contractors and consultants accountable to explain how taxpayer dollars are spent – including change orders, cost overruns, even travel expenses. It’s going online, for everybody to see. You’re also going to see some governance changes, starting with my pick for the next chair of the High Speed Rail Authority, Lenny Mendonca, my Economic Development Director. Because, at the end of the day, transportation and economic development must go hand in hand. Financial analyst William Grindley presented his latest study to the California High-Speed Rail Authority (CHSRA) board at its January 15, 2019 meeting. On behalf of the people of California and the United States, he argues yet again that this project – the costliest infrastructure project in human history – is a waste of money and needs to be terminated, immediately. The new study is If You Build It, They Will Not Come – The Sequel – The Findings and Consequences of Competitive Analyses of HSR Versus Auto and Air Travel – 2029-2040. 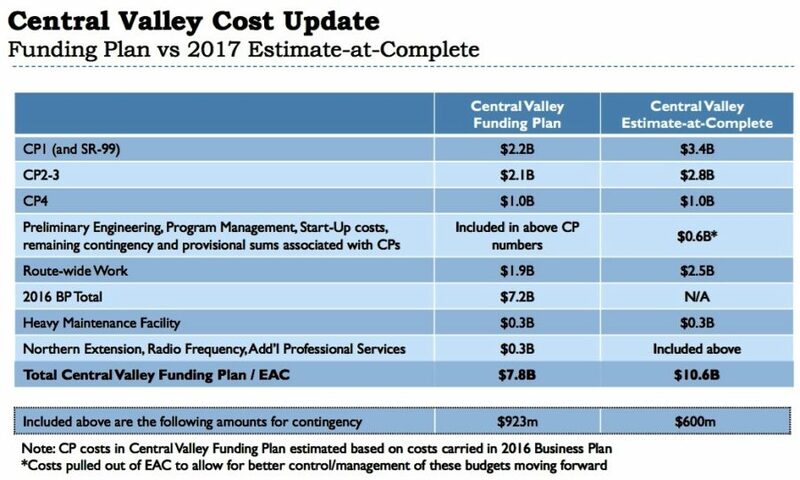 It debunks the claims of the California High-Speed Rail Authority about future ridership – and future revenue. Mr. Grindley (with coauthor William Warren) makes a reasonable assumption that the Authority chooses to ignore: Californians (even California state legislators) will continue to drive or fly between California cities, rather than taking high-speed rail, if driving or flying takes less time and costs less, which it does on the vast majority of high-speed rail routes. Using CHSRA data and mathematical formulas, Grindley and Warren analyzed three-fourths of all travel routes possible on the future rail system for the first operational segment (140 routes) and possible for Phase 1 (an additional 180 routes). Their calculations show that only one of those high-speed rail routes would have total travel time and total travel cost that are less than flying or driving: the route between Gilroy and Palmdale. Based on these results, Mr. Grindley concludes that the Authority’s estimates for ridership are five times higher than what would be expected if people make rational transportation decisions based on the time and cost of travel. They also consider the claims of Silicon Valley high-speed rail promoters that people will use the bullet train to commute between homes in the Central Valley and workplaces in Silicon Valley. 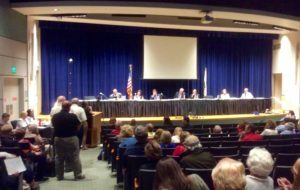 Mr. Grindley calculates travel times and concludes the proposed high-speed rail link is absurd and connecting the Altamont Corridor Express (ACE) train with high-speed rail at Merced is even more absurd. What we’ll get for $100 billion are higher fares, longer travel times, and government subsidies a few riders for a poorly thought out travel mode. Rail design and safety veteran Susan MacAdams has requested an immediate stop-work order for the Fresno to Merced section, also referred to as Construction Package 1 (CP-1). MacAdams is a Track and Alignment Expert with previous experience working for the California High-Speed Rail Authority (CHSRA) and the Los Angeles Metropolitan Transportation Authority (Metro). She raises concerns about the dangerous mix of track curves, elevations and spirals, and suggests that they are more appropriate for amusement park rides. 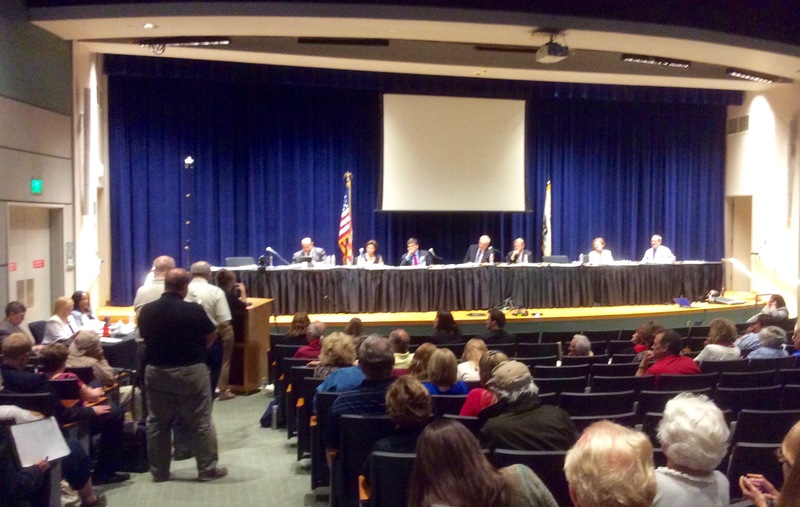 For years, the leadership of Citizens for California High Speed Rail Accountability (CCHSRA) has heard rumors about flaws in the design of the track alignment for the California High-Speed Rail. We’ve heard that certain “Japanese engineers” are astounded about how the state is building the track. In fact, there is credible documentation that outlines the specific problems with track design. The email below was sent by Ms. MacAdams on April 11, 2018 to the CEO of the California High-Speed Rail Authority and is a public record. We believe it’s the start of a series of devastating revelations about the track design. Public Safety should be paramount in any track design for High Speed Rail (HSR), but the design for the track curves across the Herndon Overpass structure north of Fresno is a public safety hazard and poses a serious threat to derailment. Building straight tracks along the UPRR corridor from Merced to Fresno was the shortest route for HSR. In 2012, the track route called the Hybrid was chosen by the Authority. This route veers from the UPRR corridor and zig-zags across open farmland. The sixty mile straight route now contains nearly 25 miles of high speed curves and horizontal super-elevated spirals with an additional ten miles of track. Trains will travel over the curves and spirals on ballasted track built on alluvial soil at 220 mph. The California High Speed Rail Authority (CHSRA) officials continue to state that this route between Merced and Fresno is the backbone of the high speed rail system, yet this backbone has developed scoliosis, or curvature of the spine; the area in question will need a spinal brace. This is a request for an immediate Stop Work Order for the Fresno to Merced section to reevaluate the curve designs. This report focuses only on the curve north of Fresno between Herndon Drive and the San Joaquin River. 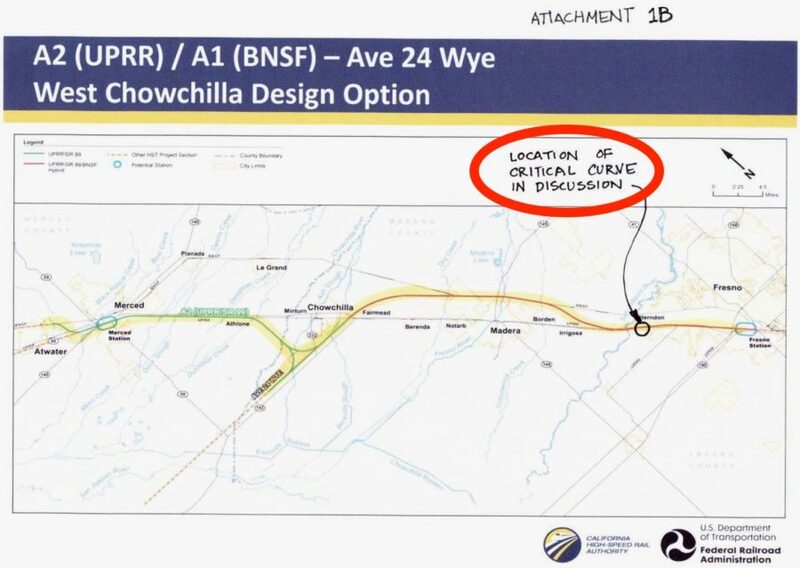 However, similar alignment flaws are shown on the Authority’s construction drawings in Madera County for the Chowchilla Boulevard/UPRR Bridge, the Fresno River Bridge, the two single track crossovers between Avenue 10 and 12, and the entire Wye complex surrounding the storage facility site. Each of these high speed rail curves should be re-evaluated, realigned and reconfigured as they each contain similar alignment problems that will lead to future operational and maintenance hazards and derailments. North of Herndon Drive in Fresno, near the San Joaquin River, there is a wide support structure for high speed rail currently being constructed over a single UPRR track. (See Attachment 2 and Attachment 3.) As the HSR tracks curve northwards, this wide track support structure transitions into tall support columns. (See Attachment 4 and Attachment 5.) The trains will travel at 220 mph on top of these 60 to 100 foot tall structures. Near the transitional area between the wide deck and the support columns, the track design calls for a combination of overlapping horizontal and vertical curves. This combination violates the Authority’s own Criteria for safe track design. The track design is extremely dangerous; this track design cannot be easily built or safely maintained, thereby creating a significant risk of derailment. The Draft Environmental Report, the Final Environmental Report and the Construction Documents all use the same curve design for this track; the two sets of environmental documents are identical. This is non-standard practice for good curve design. Usually, in critical locations such as this, between the draft, final and construction documents, multiple track designs are evaluated in order to determine the best and safest fit. For this alignment, there was only one proposal. A single drawing from the Final EIR will be used for ease of argument. For five years, I was the Manager of Metro’s Green Line track contracts in Los Angeles. This included the Aviation Wye, which is located on the southern boundary of the Los Angeles International Airport (LAX). The size and type of the structures near LAX are similar to the size and type structures from Herndon Drive to the San Joaquin River. On the Los Angeles project, there were many track alternatives studied before the trackway was built. There is not any evidence of any other track design proposed for this critical structure near the San Joaquin River. At the overlap of vertical and horizontal curves, the tracks begin to curve away from the large structure; three mathematical models are needed to construct the tracks, an unsafe track engineering practice. (See Attachment 6, Attachment 7, and Attachment 8.) A horizontal spiral curving outwards is built on top of a vertical curve going downwards. (See Attachment 9.) The tracks will be super-elevated from zero to six inches on one side, while the trains are spiraling downwards on a maximum grade slope across the top of a vertical curve. Normal track design does not allow this combination except in amusement parks and coal mines; this is not Disneyland and all of the curvature for HSR should be seriously investigated. The northbound train has the greatest potential for derailment when traveling across the peak of the vertical curve. Maintaining a slower speed may actually make things worse. For high speed rail, due to the large radius and length of curves, there can be some overlap at the edges. But in this case, the horizontal spiral and the vertical curve are on top of one another. It will be impossible to build, maintain and operate trains safely over this combination. Summary: Combining a horizontal spiral that increases from zero to six inches of super-elevation with a maximum grade vertical curve built on top of a transitional structural support system in a geographical area that experiences extreme temperature range is very dangerous for trains traveling at any speed. This is a request to immediately issue a Stop Work Order to the Contractor for all structures on the Merced to Fresno segment of California High Speed Rail. Please see additional attachments for further information. On March 9, the California High-Speed Rail Authority released its Draft 2018 Business Plan and asked for public comments about it. 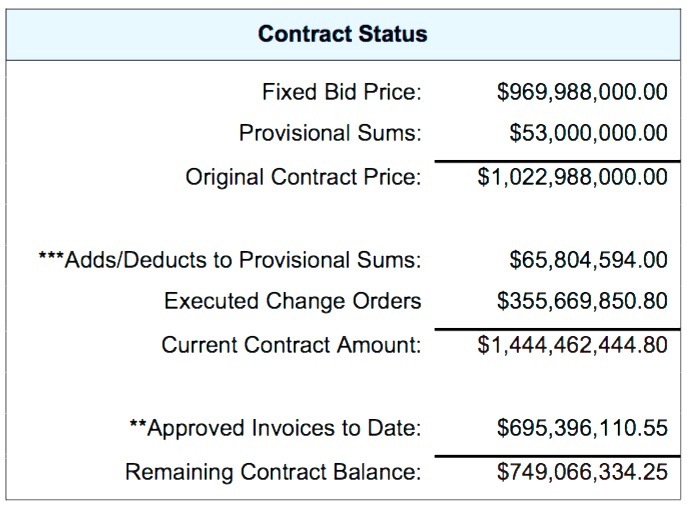 According to the new business plan, the cost of Phase 1 construction between San Francisco and Los Angeles/Anaheim is now estimated at $77.3 billion. The route is expected to be completed in 2033. Read the plan: California High-Speed Rail Authority Draft 2018 Business Plan and consider commenting about it using this web site: Draft 2018 Business Plan Comments. How has the plan changed in ten years? This $45 billion “entire high-speed trail system” included service to Sacramento and San Diego as well as the route between San Francisco and Los Angeles. It also assumed dedicated track for the entire system, as opposed to the current “blended” plan in which high-speed trains share track with commuter light rail at the “bookends” near San Francisco and Los Angeles. See the text of Proposition 1A and the ballot material related to it: Prop 1A: Safe, Reliable High-Speed Passenger Train Bond Act. Ten years later, it is proven that opponents of Proposition 1A were indeed wrong. They underestimated how bad it was going to be! Meanwhile, the groups making money off of California High-Speed Rail continue to push for the project to continue. The State Building and Construction Trades Council of California, a coalition of unions with a monopoly on the construction workforce for the project, issued a statement on March 9 supporting the 2018 Business Plan: SBCTC Statement on California’s New High Speed Rail Plan. With politically powerful unions continuing to support this project, the spending will continue until the courts finally stop it. Citizens for California High Speed Rail Accountability (CCHSRA) and other organizations will continue to argue to the judicial branch that the state’s legislative and executive branches have failed to uphold the promises made to voters in Proposition 1A. In the meantime, the property takings and cultural erosion of agricultural communities far away from San Francisco and Los Angeles will continue at the hands of the California High-Speed Rail Authority. 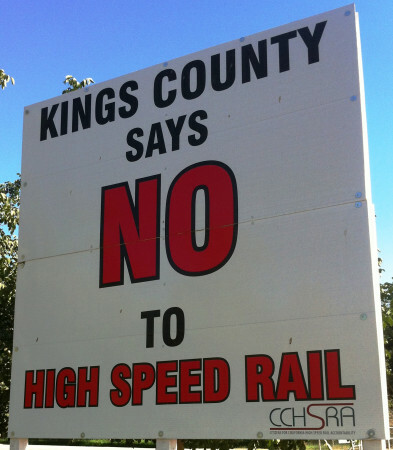 Join Citizens for California High Speed Rail Accountability (CCHSRA) in the campaign to stop this misguided plan targeted at the San Joaquin Valley. Make a contribution to our fight here. Contrary to the claims of the taxpayer-funded California High-Speed Rail Authority Communications Department, the summer of 2017 was grim for the future of California High-Speed Rail. Citizens for California High-Speed Rail Accountability (CCHSRA) continually tracks developments (or lack of developments) for this costly, misguided high-speed rail plan. We see several trends ongoing with this project. The third is Community Disruption.